Mt. Gox is officially filing for bankruptcy protection with an outstanding debt of ¥6.5bn ($63.6m), finally admitting openly that 750,000 of its customers’ bitcoins and 100,000 of the company’s own have been lost. The exchange’s lawyer announced the news during a conference at the Tokyo District Court late on Friday afternoon, Japan time. 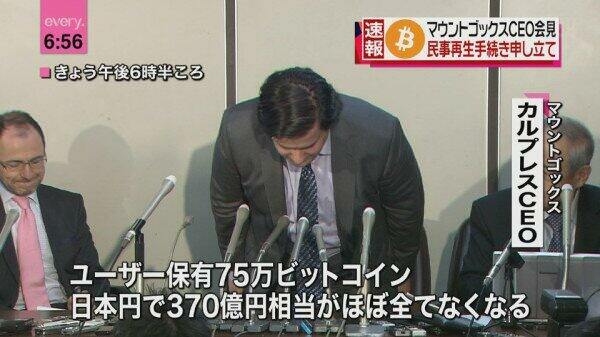 CEO Mark Karpeles, wearing a suit and tie, bowed deeply in the tradition of disgraced Japanese business leaders fronting the media. The 850,000 BTC loss figure is higher than the 744,400 figure mentioned in the so-called “Crisis Strategy Draft” document leaked and released by Ryan Galt, aka The Two-Bit Idiot, earlier in the week. That same document also described fiat assets of $32.43m and liabilities of $55m. The assets include $5m “held by CoinLab” and another $5.5m “held by the DHS”. The Department of Homeland Security seized that amount from Mt. Gox’s US accounts in mid 2013, claiming it had not registered properly as a money transmission business. It’s been a nightmare week for Mt. Gox and its customers, with much of the situation’s true nature still mired in online speculation, rumor and conspiracy theories. The exact fate of all Mt. Gox customers’ bitcoins is still unclear: how such an amount came to be lost or stolen without anyone knowing or taking action, whether ‘transaction malleability’ was indeed behind it, or whether they were transferred to other addresses or lost to the bitcoin network altogether. CEO Karpeles resigned his position on the Bitcoin Foundation Board just four days ago, beginning a chain of events that culminated in today’s press event. Shortly after that, Mt. Gox’s entire Twitter history disappeared, the ‘crisis’ documents were leaked, and then the website went completely offline, taking with it most customer hopes of ever seeing their money again. While no regulatory action is guaranteed in Japan, federal prosecutors in New York City have subpoenaed Mt. Gox and requested that it preserve documents that may be relevant. Kolin Burges, who triggered media interest around the world with his protest outside Mt. Gox’s office and confrontation with Karpeles nearly two weeks ago, took the opportunity to pack up his signs and head back to London. 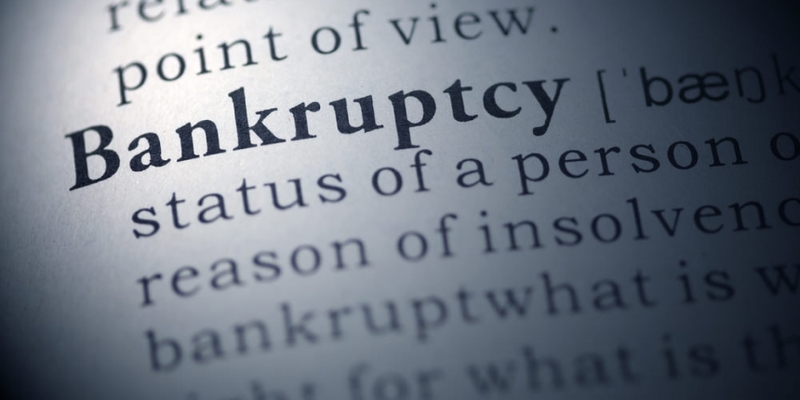 Most customers have now resigned themselves to losing hundreds of thousands or even millions of dollars, including those who claim to have lost business startup capital, college funds or even entire life savings in the crash. Burges himself claimed to have lost around $300,000 in bitcoins.